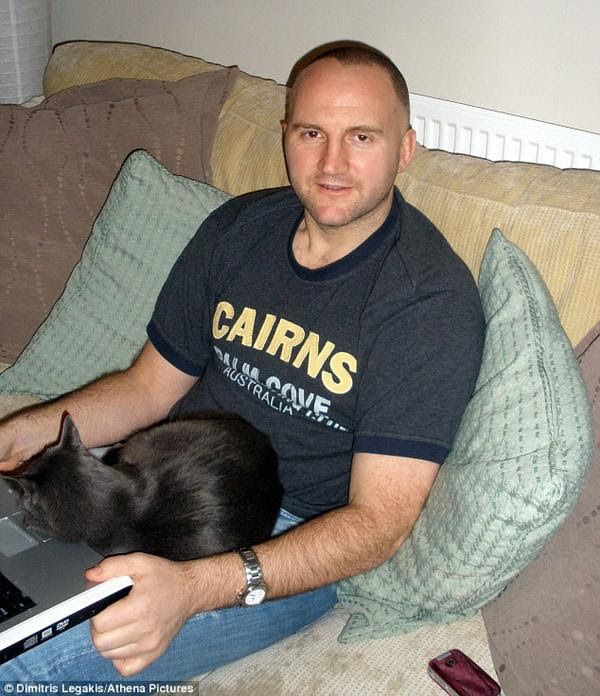 A businessman who claimed using his mobile phone for six hours a day gave him brain cancer has died at the age of 44. Ian Phillips spent his last months warning about the risks of long exposure to radiation from mobiles. 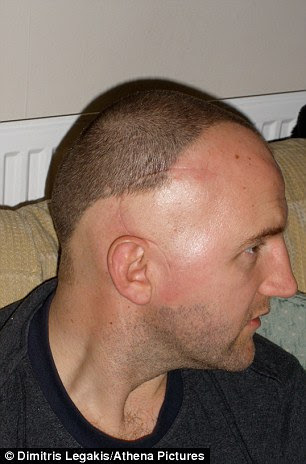 After going to hospital with a bad headache, he was given the devastating news he had a lemon-sized brain tumour - and has just three years to live. Mr Phillips claimed his cancer was caused by excessive use of his mobile phone, as his job as an operations manager for a large firm required him to spend more than 100 hours a month making calls. As well as undergoing chemotherapy and radiotherapy treatment in a bid to beat the cancer, he received alternative medicine, changed his diet, and regularly exercised. His younger sister, Nicky, said: 'Ian was an amazing person. It's heartbreaking, but he was a real fighter and we are so proud of him. Instead of giving flowers mourners at his funeral next Friday are asked to donate to the Brainstrust charity he supported. Mr Phillips, from Cardiff, said: 'I was devastated - the first thing I asked the doctors was what had caused it. 'But I knew right from the start that it was due to my excessive use of my mobile - I was on it all the time. 'I have spent a lot of time since researching this and the number of brain tumours is going up. Mr Phillips invested in a shiny gold hand receiver which he plugs into his mobile to make and receive calls, meaning he doesn't have to hold the phone to his ear. 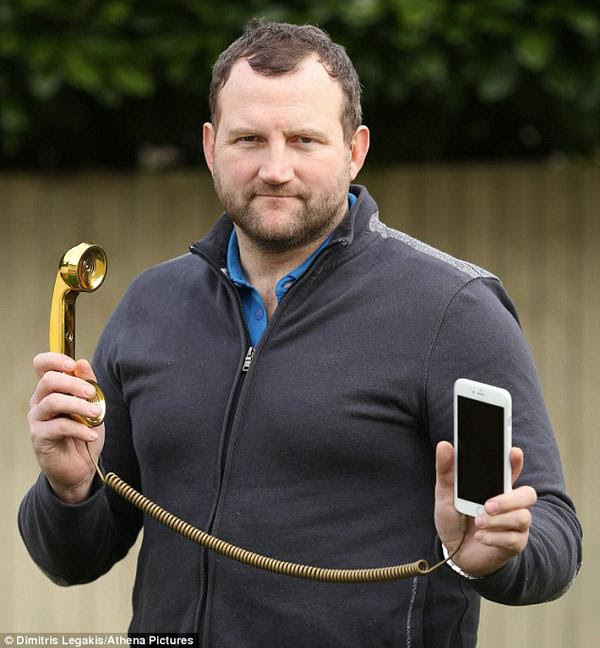 He said: 'I bought a gold one to draw attention to the potential dangers of mobiles. 'Strangers ask me why I use a hand held receiver and I tell them they would too if they had been diagnosed with a brain tumour. 'I tell people that I am convinced my cancer was caused by using my mobile up to six hours a day. Mr Phillips estimated he was talking for more than 100 hours a month on his Blackberry - because of his high-pressure job. He said: 'I was a successful rugby player, extremely fit and I never got ill - not even with a cold. But now I have this. He said: 'They gave me three years to live but I will prove them wrong time and again. 'The tumour has shrunk to nothing once but it's back now and I'm having chemo again. Mr Phillips was forced to quit his £110,000 a year job because of his illness. The former Caerphilly RFC second row forward spent his last few years with his girlfriend and his parents Norman and Lesley, mainly watching rugby and going to the gym. Before his death he launched a campaign to highlight the dangers of mobile phones, convinced he can inform others of the risks. He persuaded Welsh rugby stars Rhys Priestland and Jonathan Davies to shave their heads for the Brains Trust charity he supports. 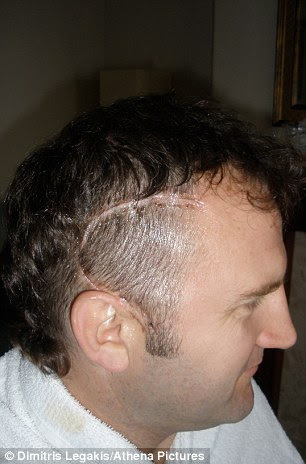 He said: 'I will beat my tumour but in the meantime I need to get the message across that mobile phones can be dangerous. The potential connection between mobile phones and cancer is a controversial debate. Countless studies have failed to provide a consensus about the degree of cancer risk. The key concern is that phones could cause brain tumours. The latest study, by the University of Sydney, found there is no link between mobile phones and brain cancer. Researchers found no increase in tumours over the last 29 years, despite an enormous increase in the use of the devices. In Australia, where the study was conducted, 9 per cent of people had a mobile phone in 1993 - a number which has shot up to 90 per cent today. But in the same period, cancer rates in people aged 20 - 84 rose only slightly in men and remained stable in women. There were 'significant' rises in tumours in the elderly, but the increase began five years before mobile phones arrived in Australia in 1987, the researchers said. Before this study, the Million Women Study, which included around 790,000 women, also found no link between mobile phone use and brain tumours, or 18 other types of cancer. Meanwhile another recent study suggested a possible increased risk of glioma - a specific type of brain tumour - for those using their mobiles a lot. 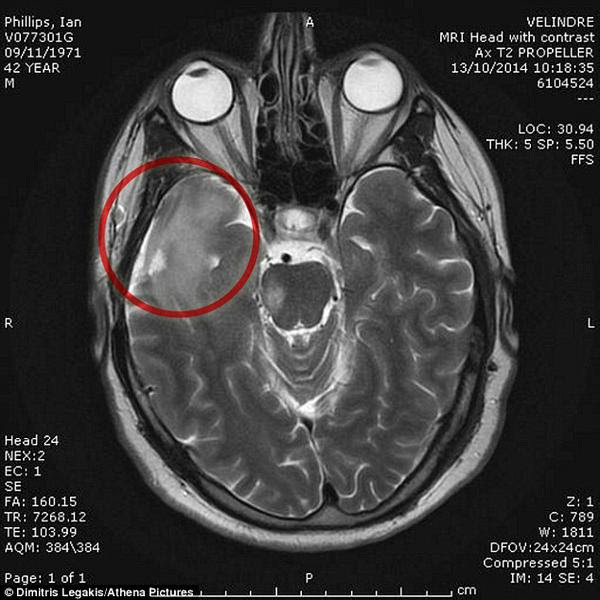 But researchers found no increase in brain tumour risk overall. In 2012 the Italy's Supreme Court found there was a 'causal link' between phone use and a businessman's brain tumour diagnosis.